Description: Billy Boat Performance Exhaust developed the first aftermarket dual mode exhaust for the C6 Corvette- The “FUSION”!!! 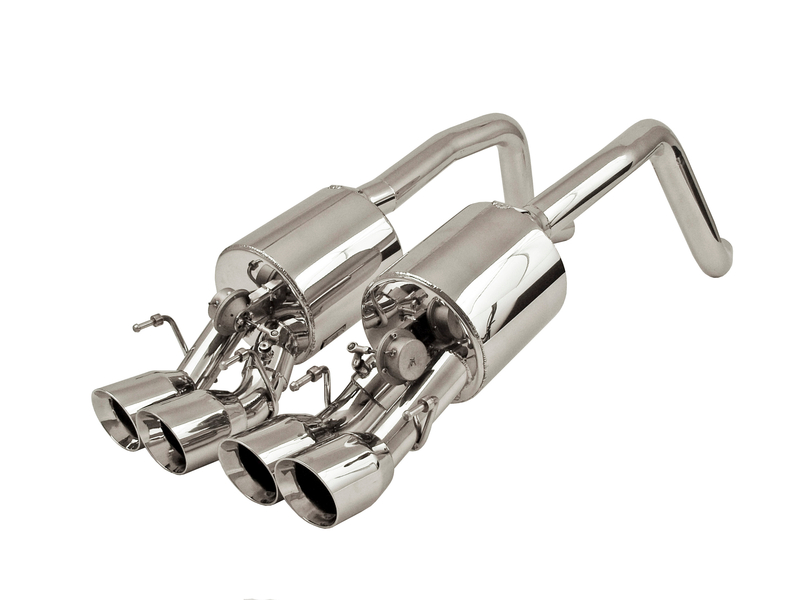 This unique design has two passages, or modes, that the exhaust can travel through in the mufflers. Each of the mufflers has two outlets, with one side having a butterfly type valve which allows the exhaust flow to be shut off, regulating which side of the muffler the flows exhaust. The “quiet” side of the muffler has a smaller, muffled and chambered tube, while the “loud” side is 3” tubing straight through. When the valve is closed all of the exhaust is forced through the quiet side for a nice mellow exhaust note with no interior resonance. When the valve is open the exhaust flow now runs through the straight side for a deep, robust exhaust note. Operation of the valve is done with a remote key fob that will open or close the valves at the push of a button and is part of the Fusion “retro” kit included with this system. Hand fabricated from 100% T-304 stainless steel, the 2.5” CNC mandrel bent tubing provides a smooth unrestricted exhaust flow for increases of as much as 15 horsepower and 16 foot pounds of torque at the rear wheels. 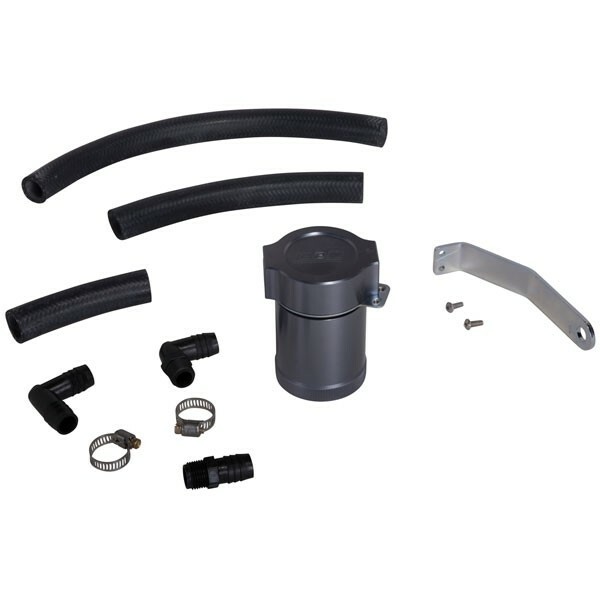 A direct bolt-on replacement utilizing the factory mounting locations the installation of this system requires no cutting or welding and includes all mounting hardware and the control assembly. Quad 4.5” oval double wall tips give the car a bold yet distinctive look. No emission components are altered with this system therefore it is 50 state emissions legal and is backed by a limited LIFETIME warranty. Billy Boat Performance Exhaust has had a deep commitment to build quality products. With over 3 generation of fabrication and racing experience going into the development of every part B&B makes along with use only the finest T304 stainless steel materials it is easy to see why B&B has been an industry leader for over 20 years. B&B designs every system for increased performance, a distinctive tone that they have spent years perfecting and an appearance that will set your vehicle apart.